Order wall base and add a finished look to the base of your walls. This Johnsonite rubber cove base comes in 4 foot sections, has a height of 6 inches, and is 1/8 inches thick. Wall base will not shrink over time. 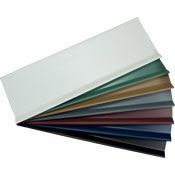 Johnsonite rubber cove base is offered in 36 striking colors. Before you begin wall base installation you will need to make certain that the base of your wall is smooth and free of any debris. 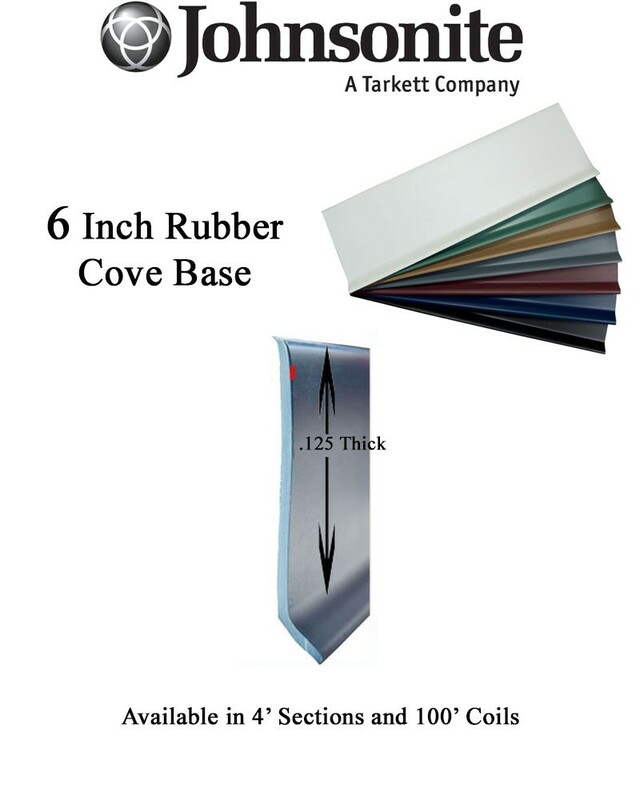 For best results when installing your Johnsonite rubber cove base we recommend the use of cove base glue. Easily form wall base around corners with a cove base groover. Check out all the Johnsonite rubber cove base installation tools we offer for a quick and easy installation. We offer wall base in two profiles. Johnsonite rubber cove base without a toe will work best with carpeted floors. Wall base with a toe will work well with hard surface floors. The toe hides imperfections where the floor meets the wall and will cover the gap required by floating floors. For further Johnsonite rubber cove base installation tips check out our helpful video. For accurate color selection samples should be requested. Full case quantities of in and out corners are available. Please call for more information. Price is determined by color and quantity. Please enter desired color and quantity below for up to date pricing. Lead time is determined by what is in stock (typically 1-3 weeks). Please call to check stock and shipping times. Get Johnsonite rubber cove base and protect those walls!